How the PRO ONE came to life..
Visit this page to read about the development of this product. 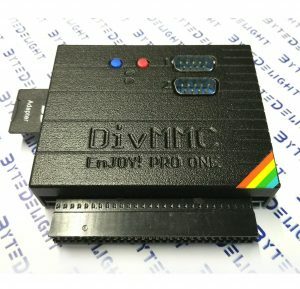 So what’s new with the DivMMC EnJOY! PRO ONE? The most compatible DivMMC version ever! Autodetection of the ZX Spectrum model: no jumper or DIP switch needs to be set to a specific machine. The DivMMC EnJOY! 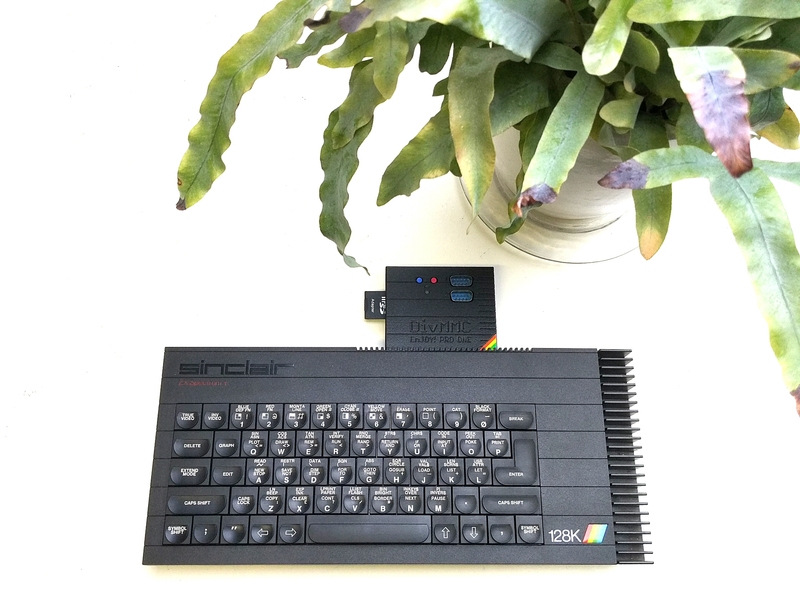 PRO ONE doesn’t need a proper clock signal of the ZX Spectrum, making it work on each and every model! 2 Configurable joystick ports – bringing people together! Play games with your kids, wife, best friend, colleague or neighbour with 2 joysticks! 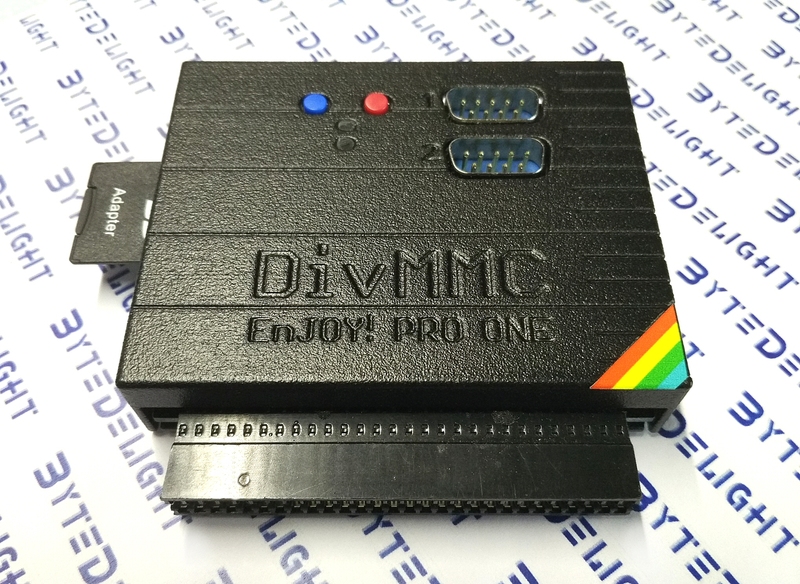 The DivMMC EnJOY! PRO ONE has not one but two joystick ports! Out of the box the joystick ports act as Kempston joystick and Cursor joystick. 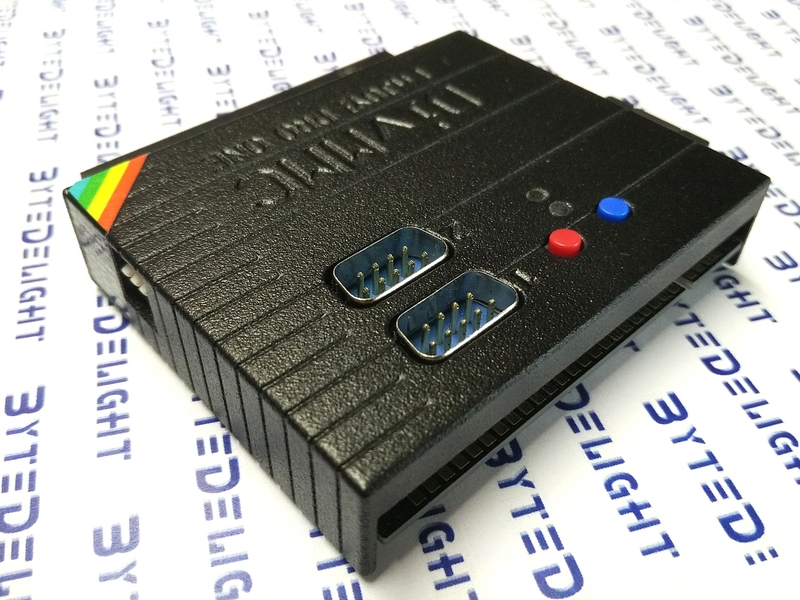 If you are using a ZX Spectrum +2A, +2B or +3 that already have Sinclair 1 and Sinclair 2 joystick ports, select Kempston joystick + Fuller joystick on the DivMMC EnJOY! PRO ONE, making it possible to play games with up to 4 joysticks! 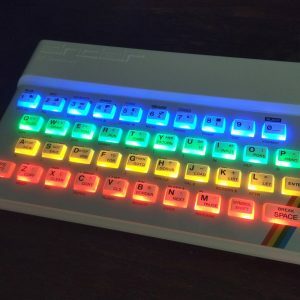 If you are using a ZX Spectrum +2A, +2B or +3, a conflicting joystick configuration on the DivMMC EnJOY! PRO ONE will be automatically disabled. 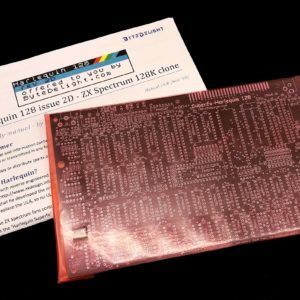 Want to add another interface to your ZX Spectrum? 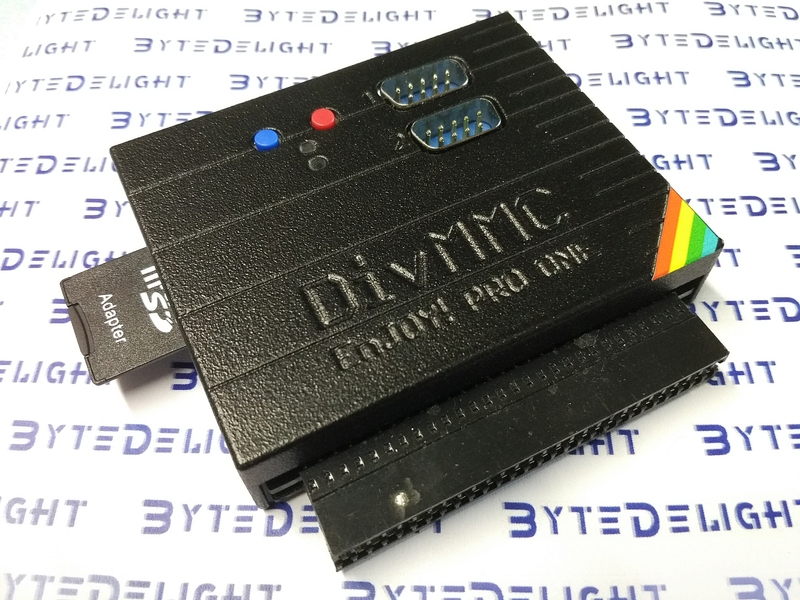 The DivMMC EnJOY! PRO ONE has a proper throughput edge connector for any device. And that even with these small dimensions! 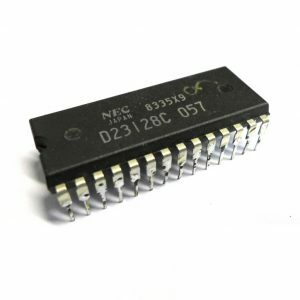 If you want to use +3 BASIC and read/write support for SD cards, you can use the +3e ROMs. For this it is possible to disable ESXDOS but still have the SD card available. FAT and FAT32 compatible – easy file transfer from PC, Mac or Linux, etc. Create snapshots to continue a game later! 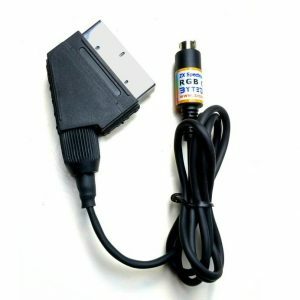 Direct file access to SD card with easy commands!